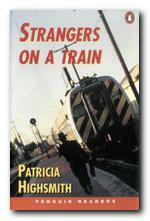 Strangers on a Train was Patricia Highsmith’s first novel. 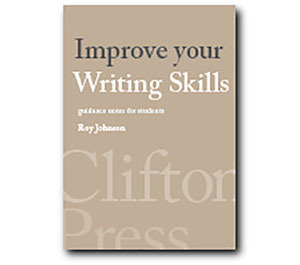 Published in 1950, it was quickly made into a film the following year by Alfred Hitchcock. The film become a classic, and it is this version which has become better known. Unless you are only twelve years old or have been living on Mars for the last few decades, you’ll already know the basic plot outline. Two men meet on a train. Guy has an estranged wife standing in the way of his romance with a wealthy socialite, whilst Bruno has a rich father whom he hates because he refuses to give him an allowance. Bruno suggests to Guy that they ‘exchange murders’ – removing their respective obstacles to happiness. He argues that nobody will be able to assign motive, because the assailants are unknown to the victims, and nobody will have any reason to think that the two plotters knew each other, because they have never met before. At first the two men appear to be polar opposites. Bruno is a spoiled emotional child, a psychopath, a drunk, and a failure. Guy on the other hand is a cultivated professional, a successful architect with a promising future. But as the novel progresses they slowly become more like each other. Both of them have mother fixations, and both possess a gun. Guy reads Plato and Bruno carries poetry around in his wallet. In fact the whole plot is driven by a series of parallel events, repetitions, and echoes which link the two men. Bruno is infatuated with Guy, and murders his troublesome estranged wife in an effort to please him. Despite being oppressed by Bruno’s attentions, Guy eventually murders Bruno’s father in an effort to put the ‘pact’ between them at an end. But in fact this draws them even closer to each other. Those who have seen the film will have to put Hitchcock’s plot (written by Raymond Chandler and Ben Hecht) out of their minds. The original novel (quite apart from the twin murders) has more subtlety and depth, and is also a much darker piece of work. It’s also a curious blending of literary genres. Superficially, it is a crime thriller, but it has rich seams of psychological analysis running through it, as well as meditations on existential philosophy (which was popular at the time the novel was written). Bruno takes a Nietzchean view of the world, seeing himself as some supra-moral being who can float above the pettiness of everyday human beings. Guy on the other hand is racked with guilt and despair, and despite the fact that they appear to go undetected in their plans, Guy in the end feels driven to make a Raskolnikov-like confession of the diabolical plot into which he has allowed himself to be drawn. The outcome is disastrous for both of them, but the novel offers no comforting moral reassurance. The world it creates is one of ethical ambiguity and free-floating malevolence. Highsmith is an interesting literary stylist. She has an attractive habit of what might be called narrative ellipsis – leaving out parts of the story for the reader to supply. She is obviously attracted to violence, sexual ambiguity, and the perverse in life. She deliberately courts the grotesque and shocking, and of course she was originally from the American South, famous for its Gothic. Her characters drink and smoke to excess (as she did) and they are drawn into forming destructive and humiliating relationships (as she was) of a kind we normally associate with Dostoyevski (who was one of her favourite writers). 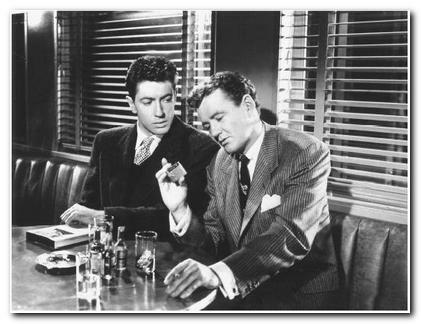 See Hitchcock’s film version of Strangers on a Train by all means: it’s one of his class acts, with lots of witty touches. But for the real thing, do yourself a favour and read Patricia Highsmith’s original novel. It’s a disturbing, often uncomfortable experience – but not one you will easily forget.